The purpose of this article is to describe how to use the signing and verifying of messages. Signing messages can be used to prove ownership of a specific address. A typical situation where this might be handy is the following: you have your bitcoin exchange account protected with 2FA, but you lose access to your 2FA tool (mobile phone, email). 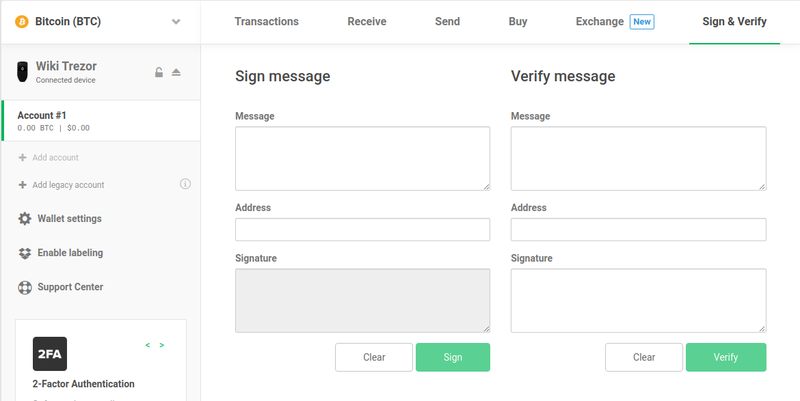 To get your account unlocked, you can be asked by the exchange operator to sign a message with the bitcoin address associated with your exchange account. 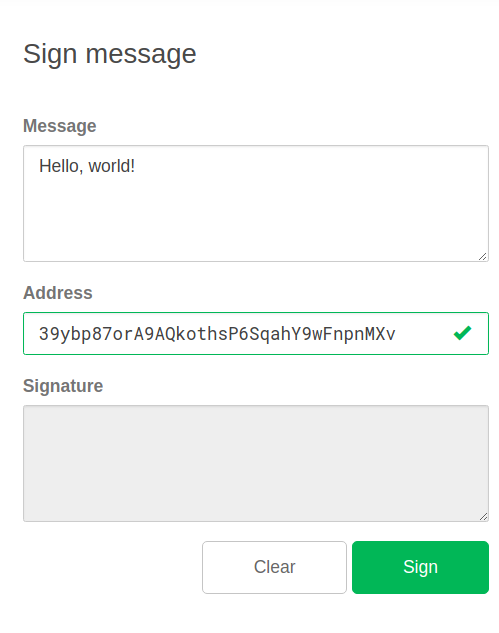 To sign a message, select the account in question in Trezor Wallet and go to the Sign & Verify tab. Type the message text into the Message box. Copy and paste the correct bitcoin address into the Address box and confirm by clicking on Sign. Check the text of the message on the display of your Trezor. If the text is correct, click on Confirm. 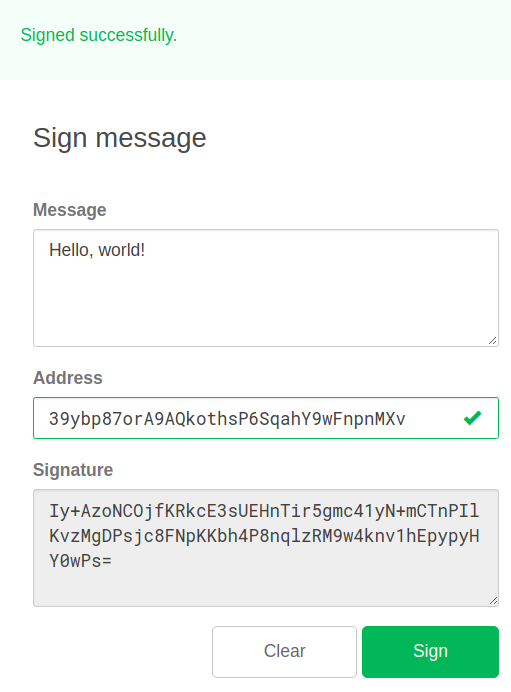 Once confirmed on your Trezor, the signature will appear on the screen. 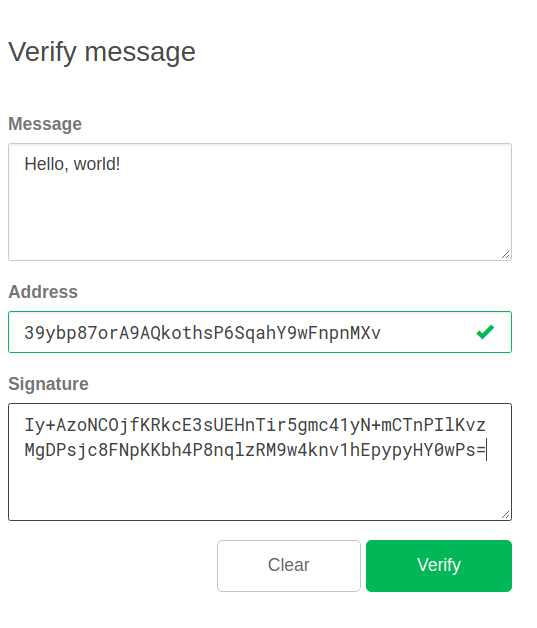 To verify a message, select the account in question in Trezor Wallet and go to the Sign and Verify tab. Copy and paste the signed message into the Message box. Paste the address used for signing the message in the Address box. Finally, paste the signature into the Signature box. Click on Verify. Trezor should show the beginning of the message on its display if verified correctly. Otherwise, you will get an error message in Trezor Wallet. 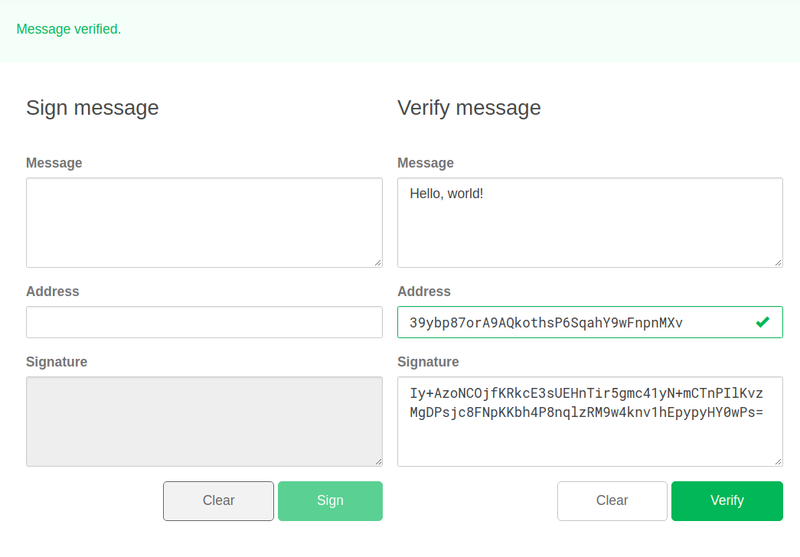 Once you have confirmed the verification on your Trezor, "Message verified" will appear on your computer screen.